Our first ever island and the reason why we fell in love with the Maldives. 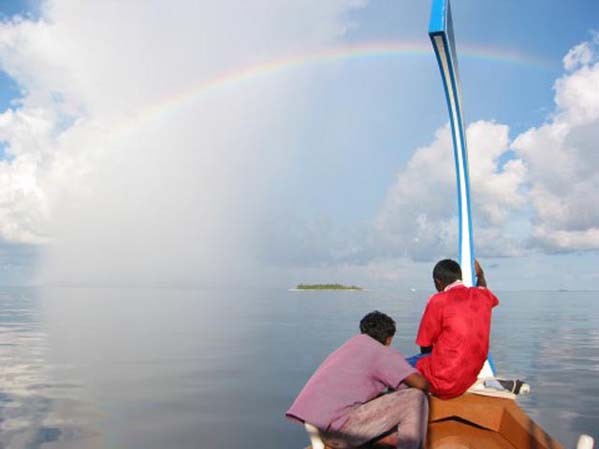 Angaga is a simple, no frills island that oozes natural Maldivian character. The ambience is relaxed and informal with sand on the floor of the restaurant and bar areas. 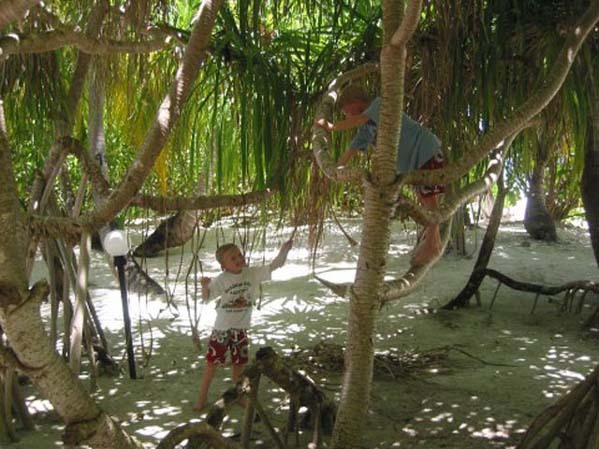 The snorkelling on the house reef is excellent and easily accessible from the beach. 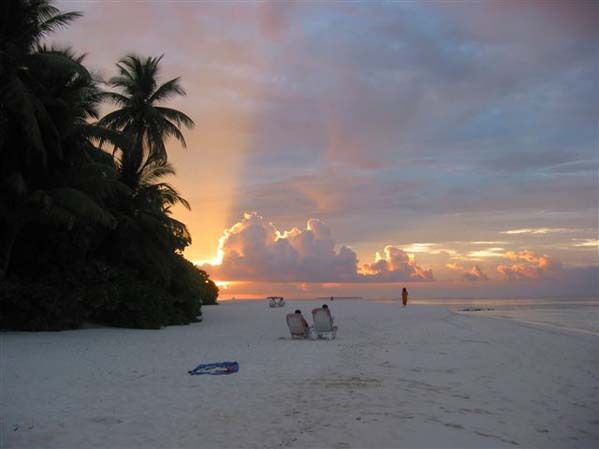 Located in south Ari Atoll, Angaga is a small island measuring 300 x 150 metres and taking just 10 minutes to walk around the perimeter. 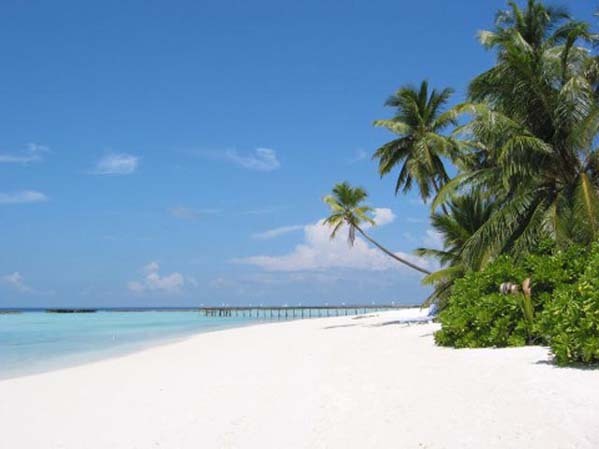 It is a fine looking resort with good beaches and plenty of palm trees. One side of the island is surrounded by a coral reef while the other has a wide lagoon. The buildings are well designed, discreet and natural in appearance with thatched roofs. The absence of coral walls (groynes) built into the sea means the views are uninterrupted, but this does mean that the beach tends to move around the island with the changing seasons. This shouldn’t cause too much of a problem as being such a small island, it is never too far to find the perfect spot. There are 70 rooms in total at Angaga, 50 Beach Villas and 20 Water Bungalows. Two of the beach villas are double storey with an additional upstairs bedroom and therefore particularly suitable for families. Unfortunately, it is not possible to reserve these in advance as they are allocated on arrival according to availability. 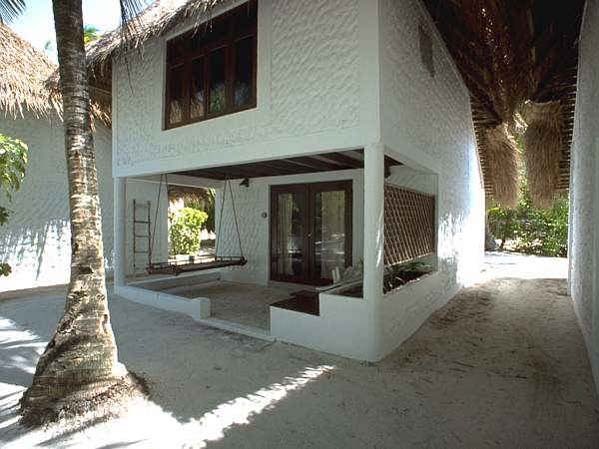 All villas are detached and have air conditioning, satellite TV, telephone, hair dryer, hot and cold water, mini fridge, traditional ‘gifilli’ bathroom, bamboo furniture, tea/coffee making facilities and a Maldivian swing on the terrace. The water bungalows were completed in 2003 and have direct access to the lagoon and a glass bottom table for viewing the underwater life. Rooms can accommodate one extra bed. 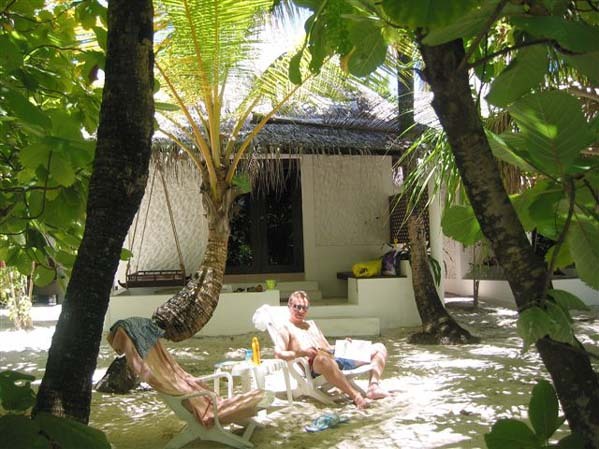 House Reef: is 7-8 metres from the beach for two thirds of the island. It is one of the best house reefs in the area with a huge array of fish and live corals. There are a number of marked cut through channels for access over the reef. On the other third, there is a large, gradually sloping, sandy bottomed lagoon, ideal for watersports. Diving: Angaga dive base operated by Sub Aqua, is one of the most award winning dive base in the Maldives. Besides all the spectacular flora and fauna you can also see as a highlight the giant whale sharks. Water Sports: Catamaran sailing, Canoeing, Wind Surfing & Kite surfing are all available at the Water Sports Centre for a charge. Gym: there is a small gym with Bicycle, Treadmill, Multi use gym system and weights. Shop: There is a small shop selling snacks and souvenirs. Spa: The island provides the original Balinese first class Spa with a range of special treatments and package options. Child Minding: This can normally be arranged on an informal basis with a member of staff for an additional charge. Diving: Divebase Angaga operates a full programme of courses and boat dives to local sites.